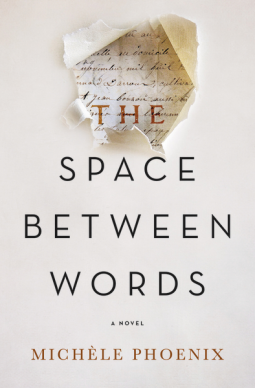 Note: I was provided with an electronic copy of The Space Between Words by NetGalley and Thomas Nelson publishing in exchange for my honest review. This book will be released on September 5, 2017. When I requested a copy of The Space Between Words from NetGalley, I did not notice in the book information that it was Christian fiction. Had I been aware of the heavy religious themes, I probably would have passed on this book. However, I am still glad I read this book and will be reviewing its literary merit as a piece of Christian fiction. Don’t get me wrong–I consider myself a Christian. However, I simply prefer my moral teachings to be more implicit than explicit when I read. The plot of The Space Between Words was intriguing, and although the attack at the Bataclan in Paris is still a fresh wound for most, Michele Phoenix handled it well and without any sense of sensationalism or insensitivity. Instead, the story surrounding the attack focused much more on the PTSD that the main character, Jessica, obviously suffered through as a result of what she witnessed that night and the survivor’s guilt she felt. As someone who has not experienced PTSD, I cannot say whether Phoenix’s portrayal was accurate; however, I do know that it was heartbreaking and well-written. As Jessica began her journey to healing in France, her discovery of documents hidden in a sewing box by a young woman living in France during the late 1600s, when her religion was a crime, set Jessica on a quest to solve the mystery of what happened to that young woman and her family. I found myself anxious to see what she would discover next and intrigued by her growing closeness to Grant, the American who owns the cottage she rents while in France, and I zipped through this book quickly. Phoenix did an excellent job of allowing the mystery of the fate of the religious refugees to unfold and introduced several interesting characters along the way. The presence of Grant’s nephew Connor and his sister Mona was delightful, and the twist near the beginning of the book was completely unexpected and absolutely heartbreaking. As Christian fiction goes, this was a heartwarming read with very genuine lessons. Not only were Jessica’s questions about God completely reasonable after what she had endured, but the responses and advice she received as a result were helpful in a way that felt neither overbearing nor cliche. The lessons in The Space Between Words are powerful, and Jessica’s journey to understanding felt very real. As Christian fiction, this gets 4/5 stars. As fiction in general, 3/5. The writing was beautiful, but at times, it did venture into cliche territory. Although Jessica’s reluctance to allow anyone to get close to her after what she went through was understandable, the plot also became fairly predictable as a result of the transparency with which her emotions were written. As I read (and reviewed) this book, I tried to bear in mind that this was Christian fiction, so the moral teachings were going to be clearly stated throughout, but that particular element of Christian fiction is why I tend to stay away from it. I enjoy books much more when I’m left to my own devices to determine what a book teaches me instead of being told outright what I should have learned. Posted in FictionTagged book review, Christian fiction, Fiction, Huguenots fiction, The Space Between WordsBookmark the permalink.